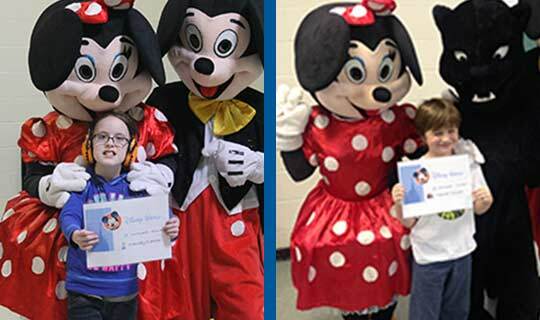 Students from Junction Road Elementary and and West End Memorial School in Springhill enjoyed a visit from Mickey and Minnie Mouse during a recent special school assembly. The Disney characters presented students Kenady and Takoda with a Disney Dreams Take Flight Ticket to Disney World. The students will enjoy their trip of a lifetime in April 2016. Special thanks to RCMP Constable Travise Dow for providing this opportunity to the elementary studetns of Springhill!